Are you in need of an emergency dentist near you? Augusta general dentist Dr. Rebecca Hobbs and Team provide emergency appointments for patients with toothaches or other urgent dental needs. It is always best to contact a dentist if you are having a dental emergency. We can provide you with instructions and schedule an appointment for you to be seen. If you are experiencing a dental emergency, please Call Hobbs Dentistry 706.955.9516 to be seen as soon as possible. Tooth abscess, pain or facial swelling. You should be seen right away if you have extreme tooth pain or a swollen jaw. If you are not able to reach a dentist, find an emergency room near you for immediate care. Facial swelling can be a sign of a serious infection that can lead to a medical emergency, especially for children. Tooth knocked out or severe tooth fracture. In addition to being seen by the dentist, it is important to retrieve the tooth or tooth fragments when possible. In the case of a tooth that has been completely knocked out, gently rinse off debris in room temperature water but don't scrub - there are cells and fibrous tissue on the tooth root that might make it possible to be re-implanted. Place the tooth or fragment in a cup of milk and contact our dental office right away. If you are unable to see a dentist soon, your local pharmacist can be a great resource. They can advise on dental wax for sharp orthodontic wires or brackets or a safe temporary crown adhesive. Always speak with the pharmacist to make sure you do not purchase products that might cause harm to the tooth or gum tissue. Mild tooth pain or sensitivity. If you have mild tooth sensitivity related to a chipped tooth or lost filling, usually an over the counter NSAID medication such as Ibuprofen will help alleviate inflammation and tooth pain. Do not take anything that you have not taken before or exceed the recommended dosage. Never place aspirin or other pill medications directly on the gums, this can actually cause a serious ulcer. Slightly oozing blood is normal following a tooth extraction. Biting on a moistened tea bag for 30 minutes usually will help stop the bleeding. In the case of excessive bleeding or pain, contact the dentist that performed the oral surgery or go to the emergency room for instructions. Dental emergencies are never convenient. We recommend that our patients see us 2-4 times per year for a dental examination to help prevent major dental problems. 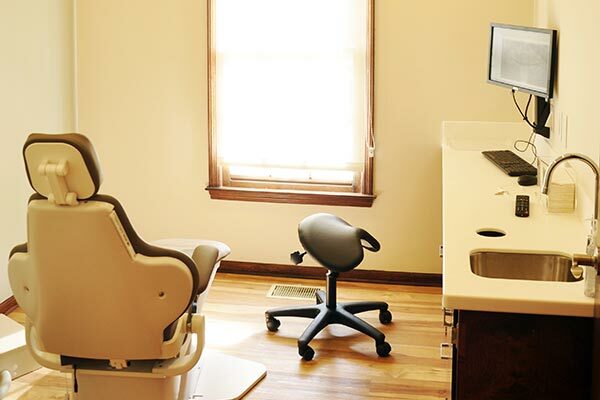 We invite you to Contact Hobbs Dentistry of Augusta to schedule your next dental check-up.